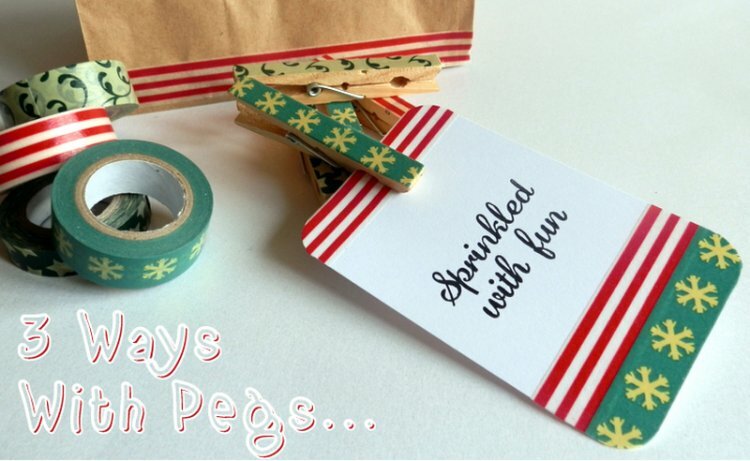 Take an ordinary peg and make it special with a touch of washi tape. Create fun festive pegs that can be used for a variety of craft projects including this charming gift bag. Create a cute jewellery stand to show off your favourite jewellery pieces. Easy to make with an old picture frame, just cover with your favourite Deco Maché then fix a row of mini pegs across the top. Add strips of lace to give it a truly vintage feel. Add some festive cheer to your Christmas cards, string up die cut baubles on a twine andsecure with coordinating Mini pegs. It's fun and simple to make this stylish Christmas card. Whats your favourite way to use pegs for crafting, leave us a comment below and why not feature your project in our gallery.